This liner is made using Swimline’s Unibead Liner System. 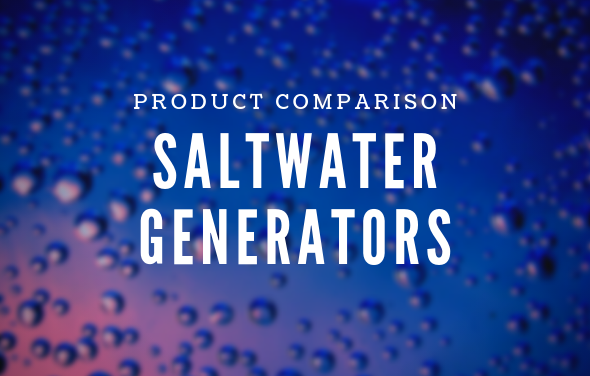 It can be used as a Beaded Liner in a pool that uses a Bead Receiver or as a J-Hook Liner in a pool that does not use a Bead Receiver. This article covers the J-Hook installation method. 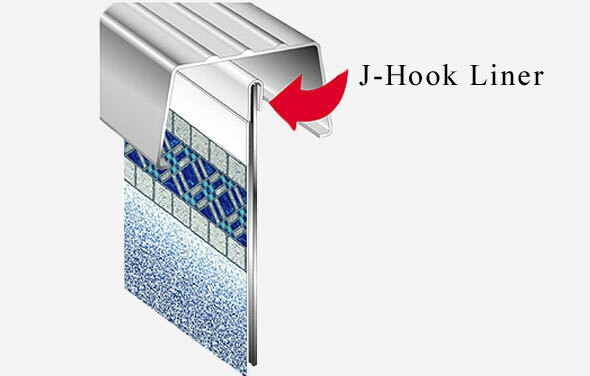 J-hook liners have a special attachment that is referred to as the “J-hook”. Spread out the liner. The curved seam should be centered on the cove at the base of the wall. The other seams will form straight lines across the bottom of the pool. Smooth out all wrinkles in the bottom. 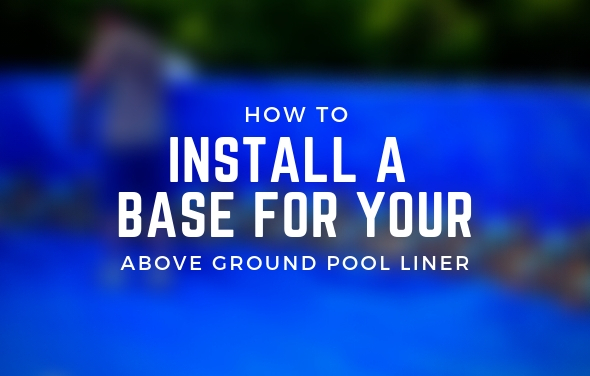 Smooth out the floor of the liner by pushing it toward the pool wall. A soft push broom will be very helpful. 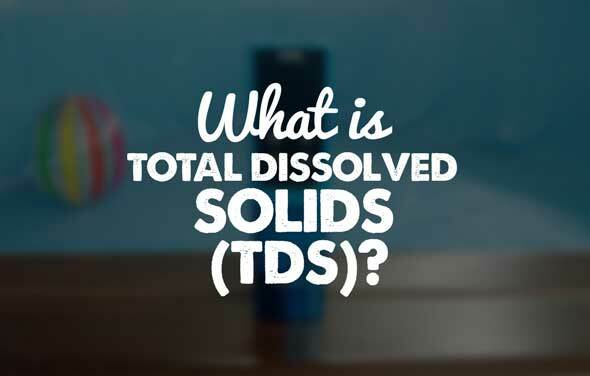 Never forcefully pull or drag the liner. Now you are ready to attach the wall of the liner to the pool. You should attach the liner to the wall in about 6 or 8 places. 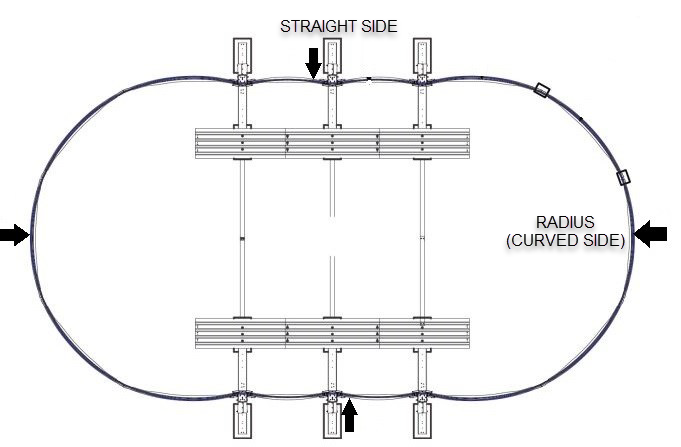 If you have an oval pool, start at the beginning of each radius (curved side) in 4 places and then in the center of the two radius areas and straight sides. 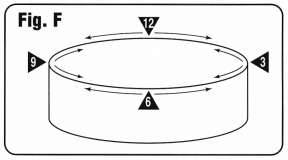 On round pools, begin at the 12, 3, 6 and 9 o’clock positions. 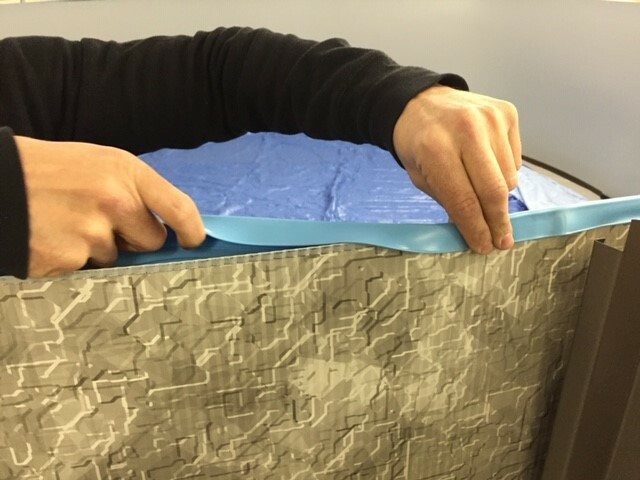 Use masking or electrical tape, if necessary, to hold the liner in place. 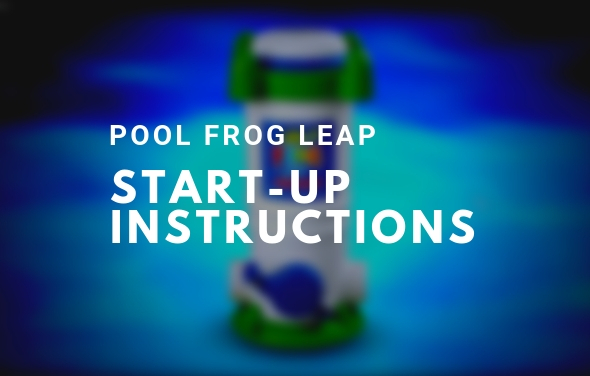 Make sure that you attached the wall perpendicular to the floor of the pool. Then, from any two positions, work the liner onto the wall to the center. Continue until you have the liner over the wall. 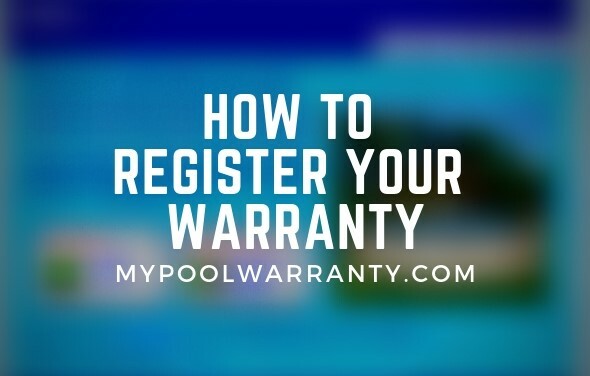 If you do not attach the wall in this manner and begin from one location and your wall completely around the pool, one of two situations will exist. Either you will have an excess of material or flap on the circumference of the wall or you will be short and have to stretch the material to make it fit. Make sure the liner is hanging straight down from the top of the wall. 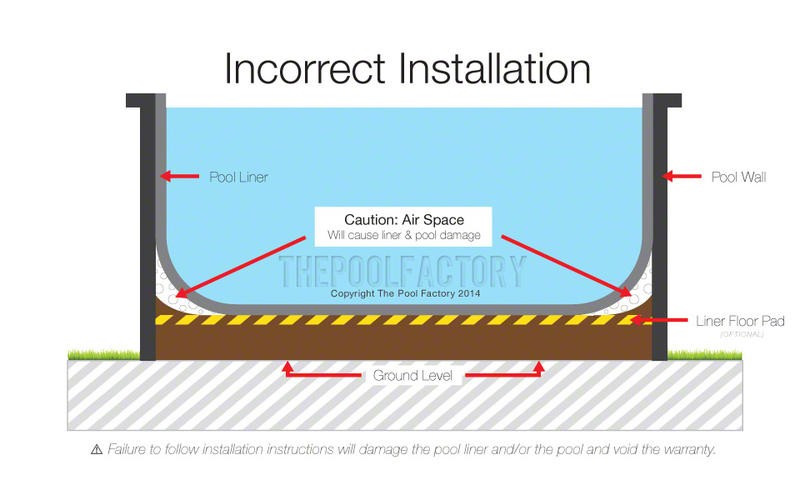 The liner should not have creases in it because it is twisting around the pool. 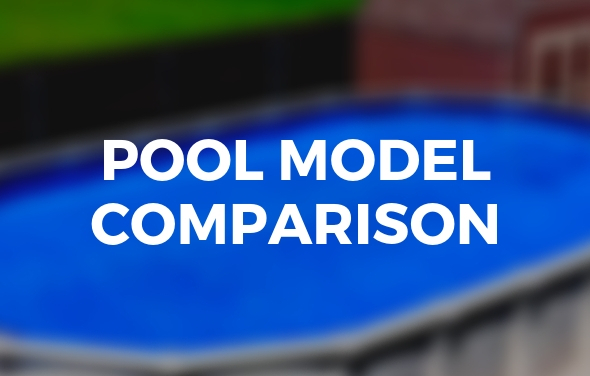 If the liner is twisting, it is because it is not sitting properly in the pool. Make necessary adjustments before proceeding. 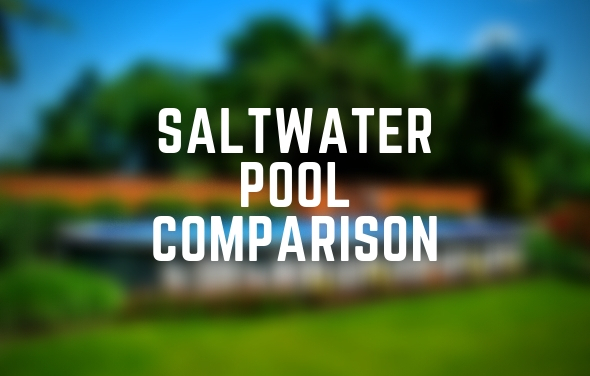 Start filling the pool with only a few inches of water. As the pool fills, work out all the wrinkles and smooth the liner to the wall. 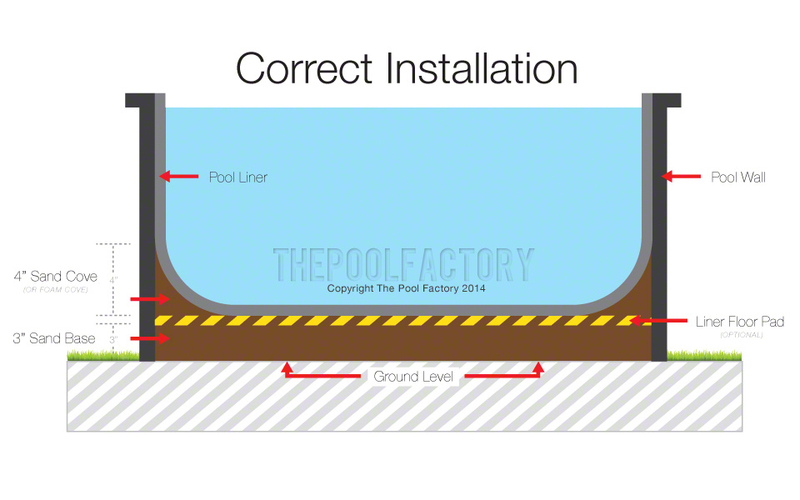 If you notice that the liner is starting to severely pull or bend the pool wall inward as its filling, immediately stop filling up the pool. 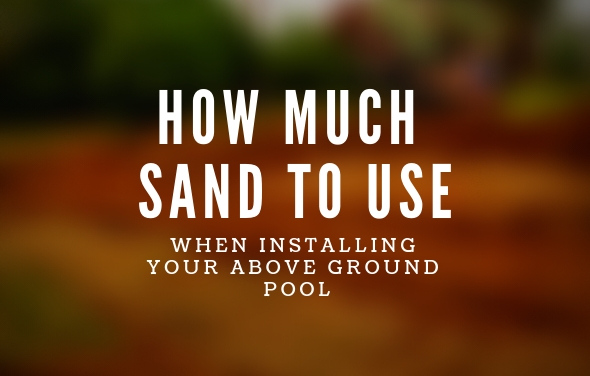 At this point it’s a good idea to drain the water from the pool in order to pull back the liner and add mason sand to the cove area. 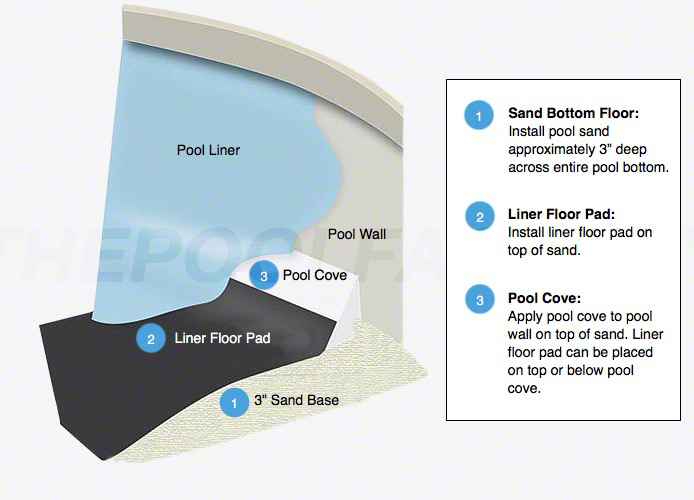 Adding mason sand to the cove area will help alleviate the unwanted stress on the pool wall and the liner. 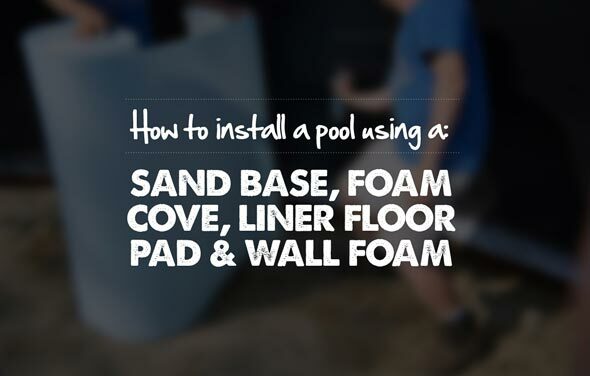 You can also add mason sand on top of the foam pool cove.